Today is the Big Day over at Paper Craft Crew Challenges. We are so excited to officially welcome you all to our Challenges and Blog. And we do it up right! We are offering up awesome blog candy! If you do the sketch and leave us a link to your sketch on PCCC Blog, you will be entered into a drawing to win a Grand Prize Basket full of goodies! The Grand Prize drawing winner will be announced on Wednesday, November 7 and posted at 9pm EST the same day. Mention that you read this on my blog, L-Inked with Friends and Janet Marks please. It may be Halloween but I have been a little cold here. I used two stamp sets, "Make a Mitten" and the matching builder punch "Mitten" on page 11 in the Stampin' Up! Holiday Catalog and " Wonderful Winterland" on page 8 of the same catalog. Add "Snow Festival Designer Series Paper and 1/4 " Sweater Trim in Cherry Cobbler and the card is easy and fun. 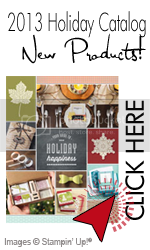 All materials can be purchased from my Stampin' Up! Website. There are more opportunities for you to win BLOG CANDY! Leave me a comment at the end of this post about what you like best about Halloween and you will be entered into a drawing for ...wait....here it comes... A SET OF EARTH ELEMENTS WATERCOLOR WONDER CRAYONS! The drawing is next Wednesday so make sure you tell your friends to come on over to my blog and also visit all the other team members listed on my side bar to enter into this huge blog candy contest. I know you will all do an awesome card of your own. POSTING END TIME: If you'd like to be considered as one of our spotlight cards and to be eligible for the Blog Candy Grand Prize over at Paper Craft Crew Challenges, please be sure to link your project by Wednesday, November 7th at 10 AM EST on the PCCC Blog. Head on over and have fun! Look for the Paper Craft Crew on Facebook! You can like us by clicking HERE! You can also find the Paper Craft Crew on Pinterest.